With over 350 billion tweets uploaded everyday, Twitter is one social media platform that shouldn’t be taken lightly. “Tweeting” has become a household term among internet aficionados that even businesses are getting their own piece of the action. While there are the more casual ways Twitter can be used, there are also ways in which it should be utilized to monetize efforts. For this post, I’m going to let you in on the best ways you can tweet for your business. So if you’re one who’s running a business online, you may want to take note. Before you even start tweeting, make sure you know exactly why you’re on Twitter. If you’re only goal is to gain increased web traffic, then you’re probably in the wrong place. Twitter deals with real-time interaction. Its currency is what charms people to engage with each other. So it’s very important that you know what your goals are. Are you promoting a limited offer? Are you gathering reactions about the latest news in your industry? Make sure you align your goals with the right social media platform. This is a primary way of establishing yourself as a business online. 2. Know who to follow. If you know who to follow on Twitter, you become and stay significant among your followers as well. It’s not only about being on this social media platform. It’s also about having the best sources of information to keep your market engaged. Do your research and learn who to follow in your industry. This will let you have infinite topics to choose from. This will also give your market the impression that you are a professional and serious brand. No matter how exciting, significant and tempting your tweets are, they’re useless if you’re not aware of the perfect timing. Twitter has a lot to do with behavior. There are times that they look into using it when they find themselves most unproductive and wanting to relax. You as a business need to invest on that behavior and learn the best timing. More often than not, users check Twitter when they’re on the road, during break or before they sleep. That’s supposed to be the time you tweet as this heightens your level of engagement. People enjoy reading tweets in their news feed. They like knowing what other users are currently up to and how they can react to it. This makes it very important for you to be a dedicate Twitter user. Make sure you tweet no less than five times a day and these tweets should be strategically uploaded everyday. Don’t flood your followers’ feeds unless it’s really called for. They will only end up scrolling past your statements, which won’t entirely help your tweeting campaign. 5. Stop promoting all the time. No one cares about a business that purely promotes his or her brand on Twitter. If this is your only purpose in this platform, then trust that you will be condemned. People enjoy brands that know how humanly express themselves online. Whether it’s the way they tweet or it’s what they tweet, it’s crucial that you know how to connect with your market. Stop being so stiff and always all about your business. Be in the know, ask questions about what your market is currently up to, learn to share significant news even if it doesn’t at all relate to your marketing campaign. 6. Do away with TwitLonger. TwitLonger is an extended feature for those who find the 140 characters insufficient. A personal advice is to do away with it if you don’t really need to use it. It makes more impact if you know how to express yourself on Twitter using short, simple and straightforward tweets. Your market remembers you more if you know how to tweet and make do of the limited characters you have. Essentially that’s what makes Twitter a very exciting platform to work with. With just 140 characters you have the opportunity to generate a bigger market and greater profits. 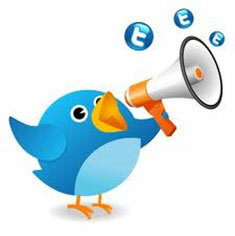 Twitter is a great tool to win over more potential customers and gain thought leadership. So make sure you follow all these 6 practices for your business to tweet its way to success. Samantha Nicole Samonte is a Content Specialist for Webcada, a SEO Services Singapore Company. She spends the rest of her time guest-blogging for various websites.